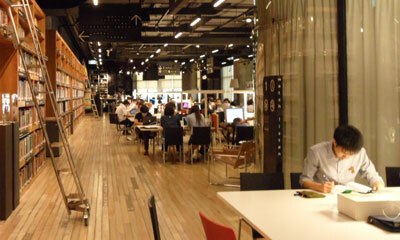 Established in 2005, TCDC Resource Center aims to be a place for designers, students, entrepreneurs and enthusiasts in design and creativity to develop and expand their knowledge and skills as well as to help strengthen capability and competitiveness of Thai designers in a global market place. More than 55,000 books covering various interests in design discipline, e.g. art history, interior design, architecture, fashion, textiles, graphic design, photography, film, etc. 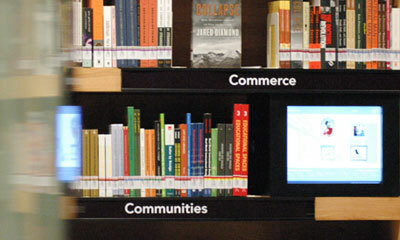 Multimedia: more than 5,800 titles of films, documentaries, and TCDC’s workshops and lectures on iPod and iPad. WGSN (World Global Style Network) is the world’s leading trend forecaster. The company enables subscribers to make betterdesign decisions by identifying and analysing the trends that will shape commercially successful products and services in the future. WGSN’s inspiration and insight are only available through online subscriptions to a variety of state-of-the-art digital tools and through bespoke consultancy services. STASH is the online resource of visual effects and anima5on projects from both professional designers and design enthusiasts around the world. Facilities and services, e.g. 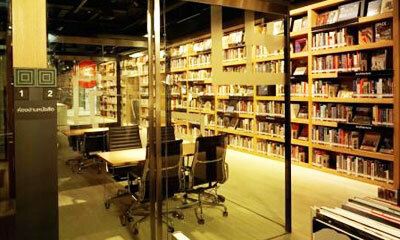 creative rooms, multimedia rooms and The Music@TCDC. Thailand’s economic crisis in 1997 had raised issues regarding our economic strength; that an effective economic driving force was needed to handle the challenges we faced, and that building a new economic system based on knowledge and creativity was the key to create our opportunity and advantage in the international arena. 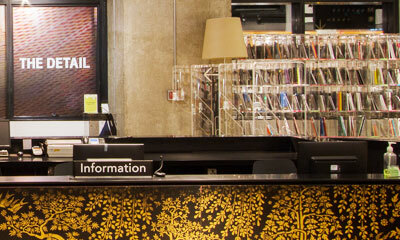 The Thailand Creative & Design Center (TCDC) was created by Cabinet resolution on September 2, 2003. TCDC was officially established on June 18, 2004, and placed under the supervision of the Office of Knowledge Management and Development (Public Organization), which is in turn part of the Office of the Prime Minister. TCDC receives an annual budget from the Bureau of the Budget. TCDC officially opened on November 14, 2005, and its services were first made available to the public the following day to connect and promote interaction among creativity, skill, cultural asset and business conducive to creating quality products and services that meet the global market demand. TCDC pushed forward the development of creative economy in 2008 to promote creative entrepreneurs as the key element of Thai economic driving force. Also, TCDC has built a knowledge management network through 13 miniTCDCs nationwide and opened TCDC Chiang Mai in 2013 as a center for exchanging creative ideas and readying regional entrepreneurs to keep up with ever-changing global demand. TCDC constantly develops ways to manage knowledge as well as to share and connect creativity with business practices, making it possible that imagination can change your life. TCDC is a "playground for creativity". The place to inspire and set the pace and tone of creative thinking in Thai society We build awareness on value of design to Thai people through wide range of activities and services; exhibitions, lectures workshops, online and paper resources for research and development in design context. We engage our audiences with educational as well as entertaining activities to ensure that these experiences would stimulate people’s thirst to learn and think imaginatively.